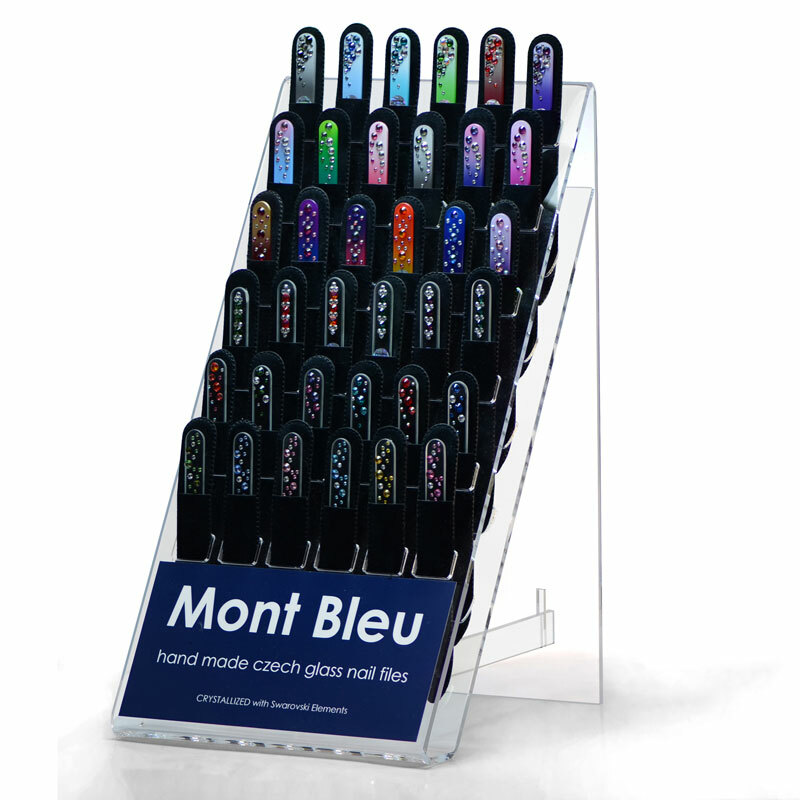 Display stands – made from plexiglass available in variety of sizes and display capability for different glass nail files, with custom label option. 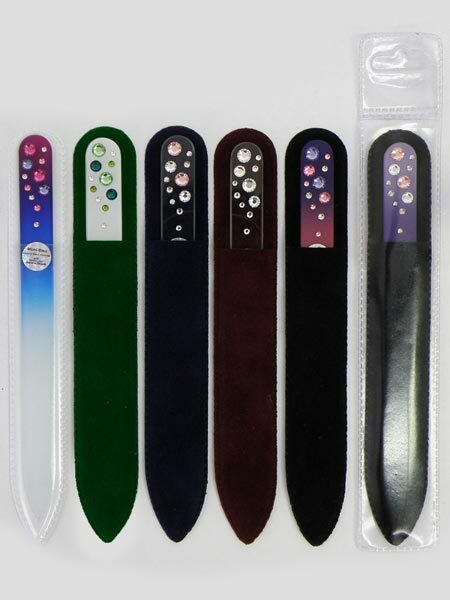 Packing – PVC plastic or velvet sleeve available in a variety of colors. 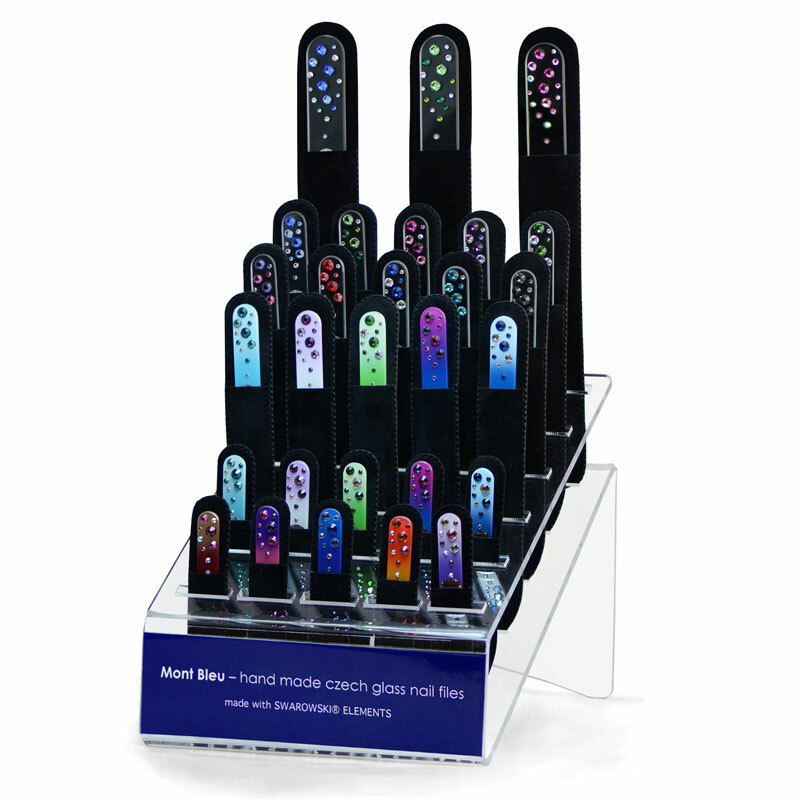 Blister with euro hole for easy products displaying. 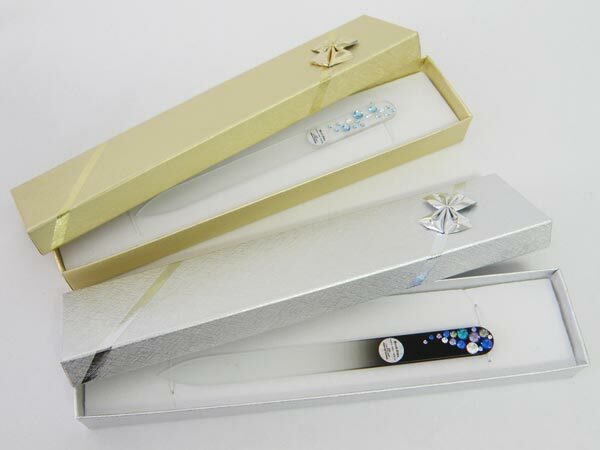 Quality Paper gift boxes for glass nail files. 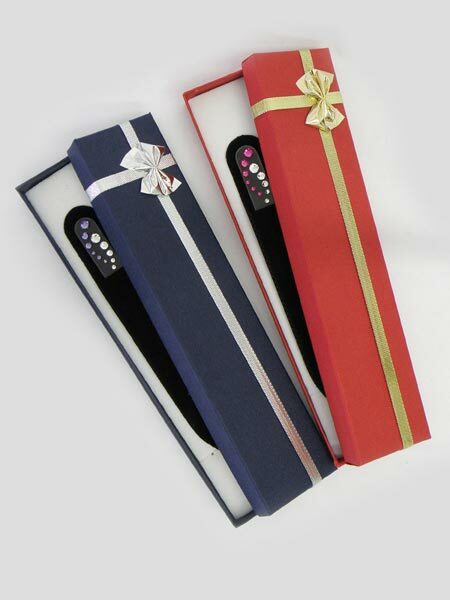 Gift boxes are available in diversity of colors, including popular blue, pink, red, black and gold. 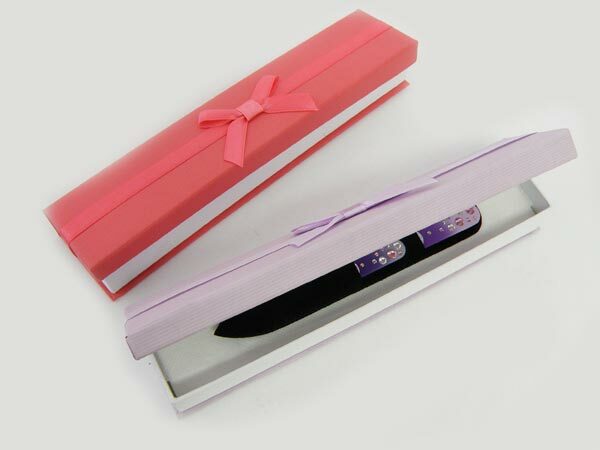 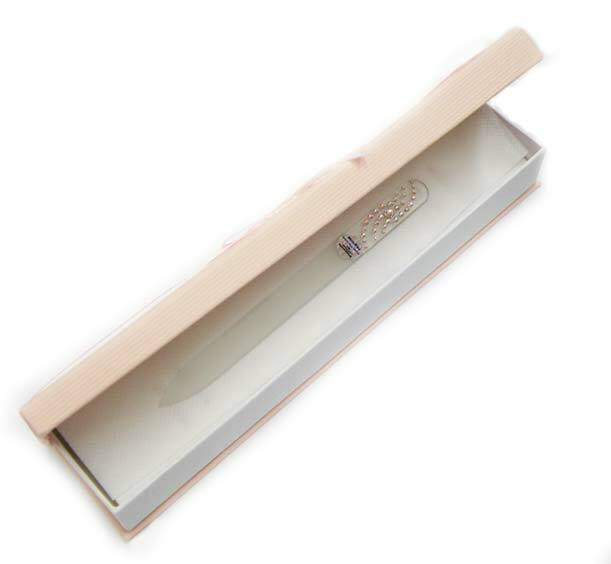 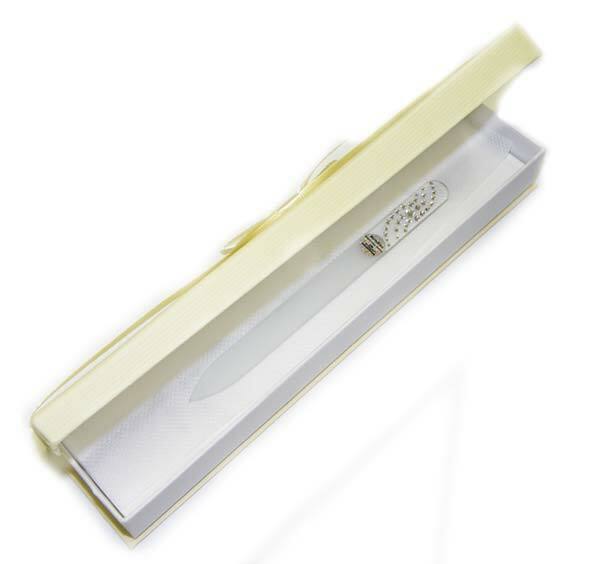 Available sizes of the gift boxes allow you to pack one, two or a set of three glass nail files in it. 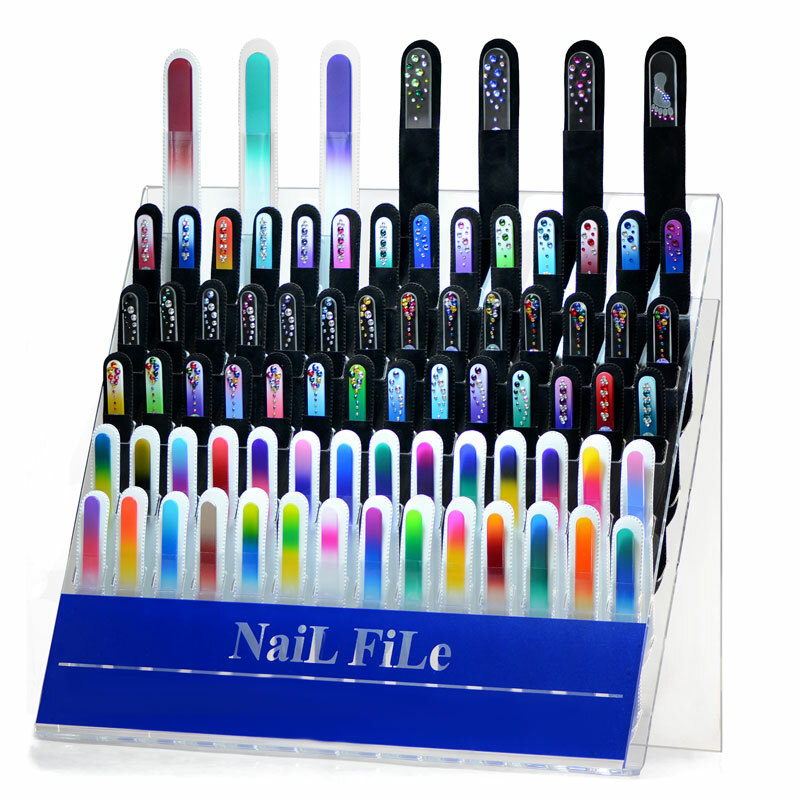 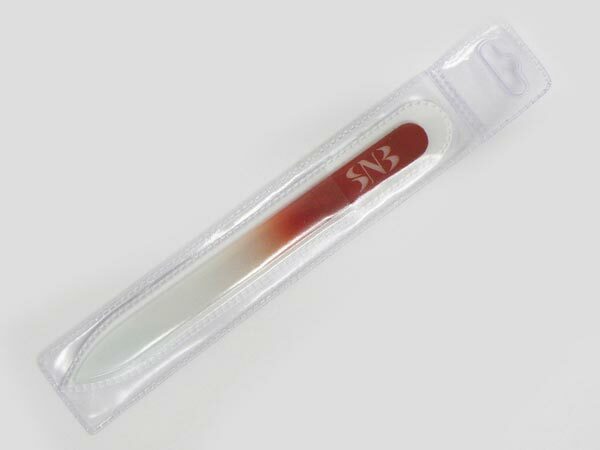 To look at possible glass nail files sets please visit Glass nail file sets page. 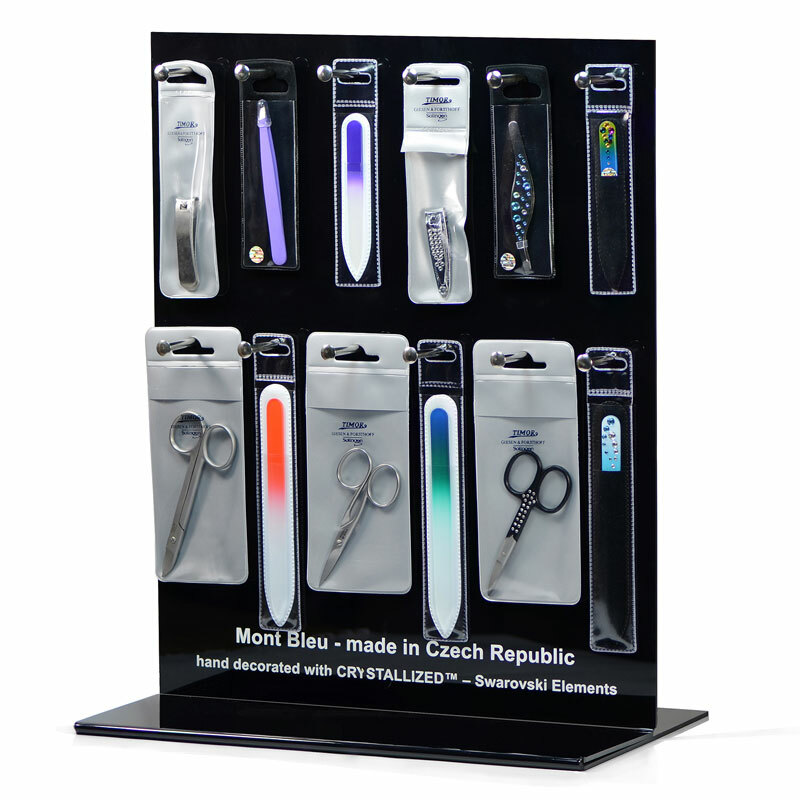 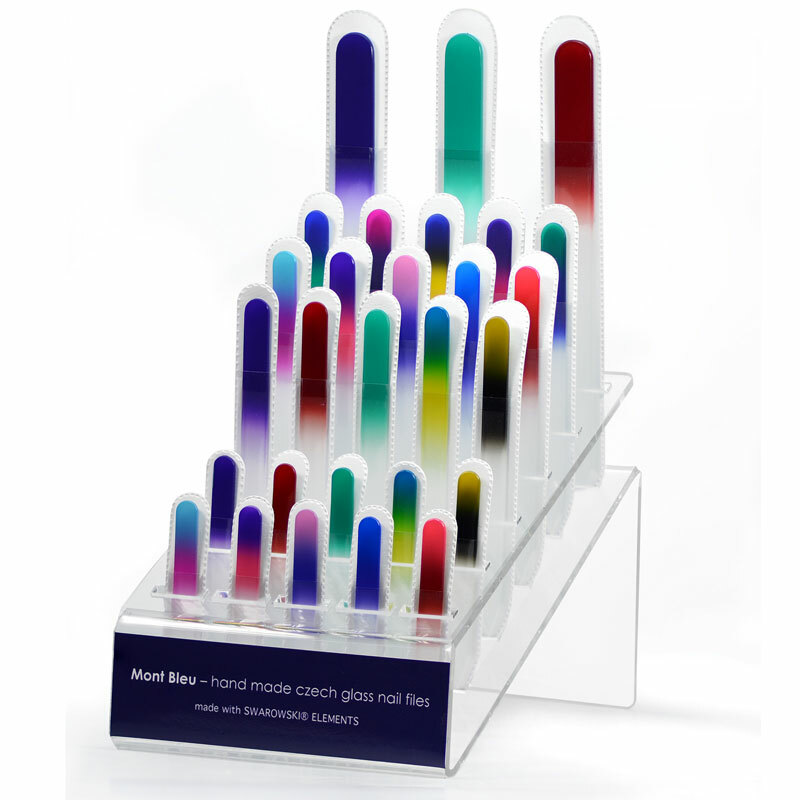 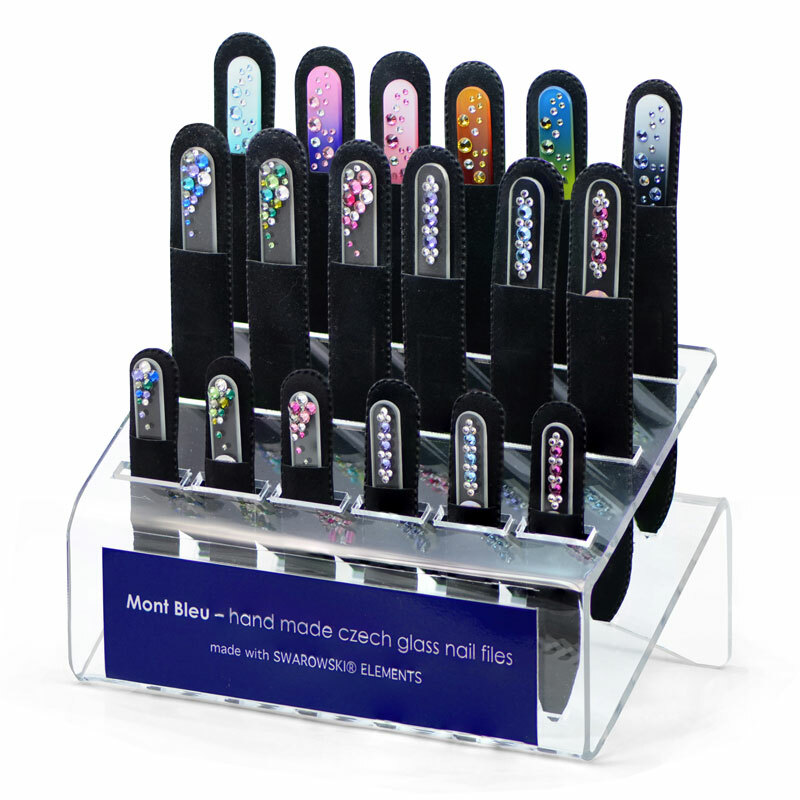 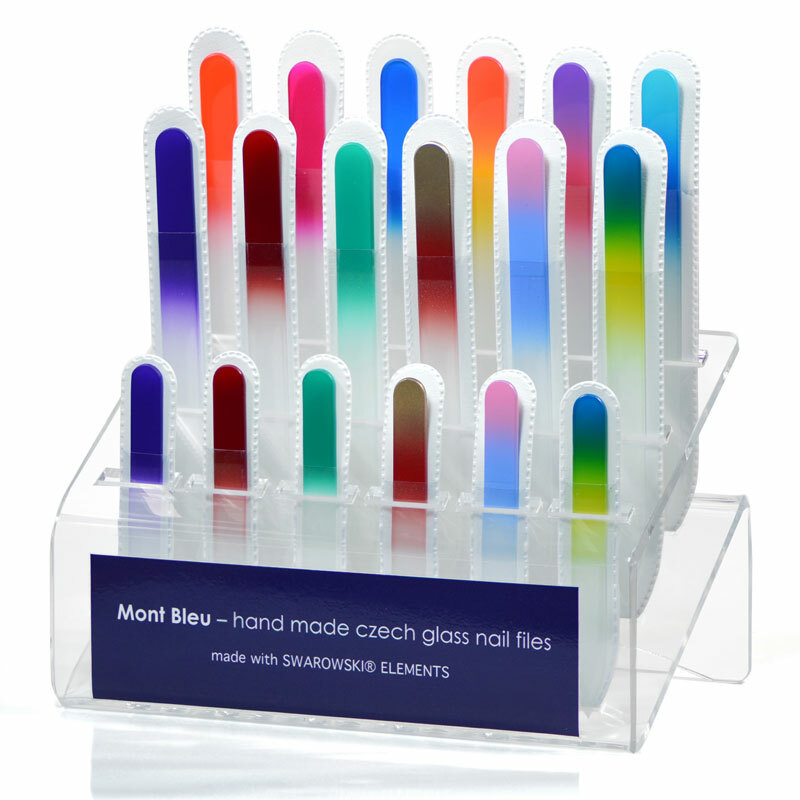 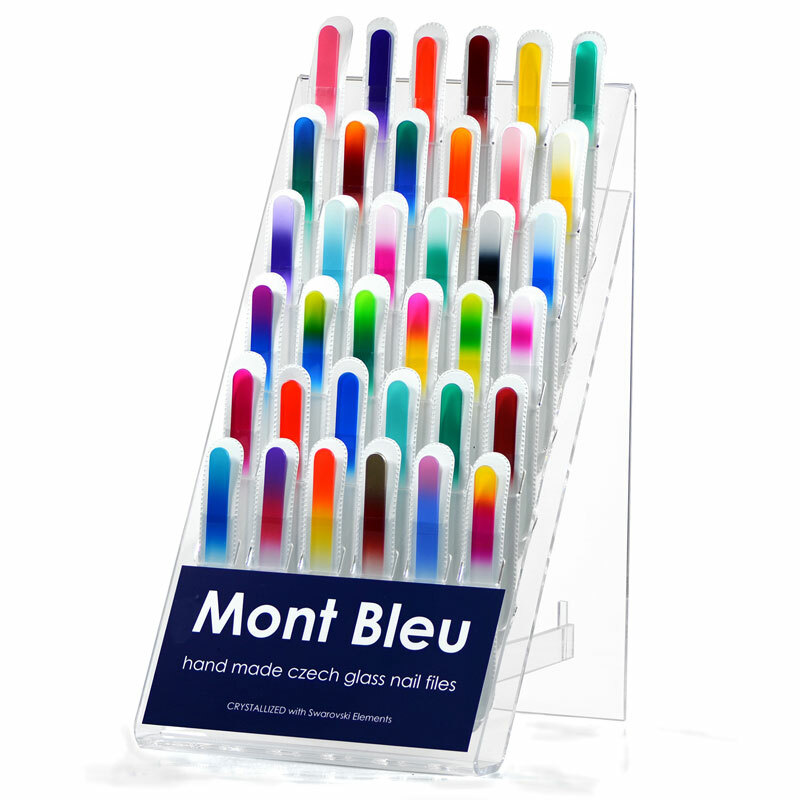 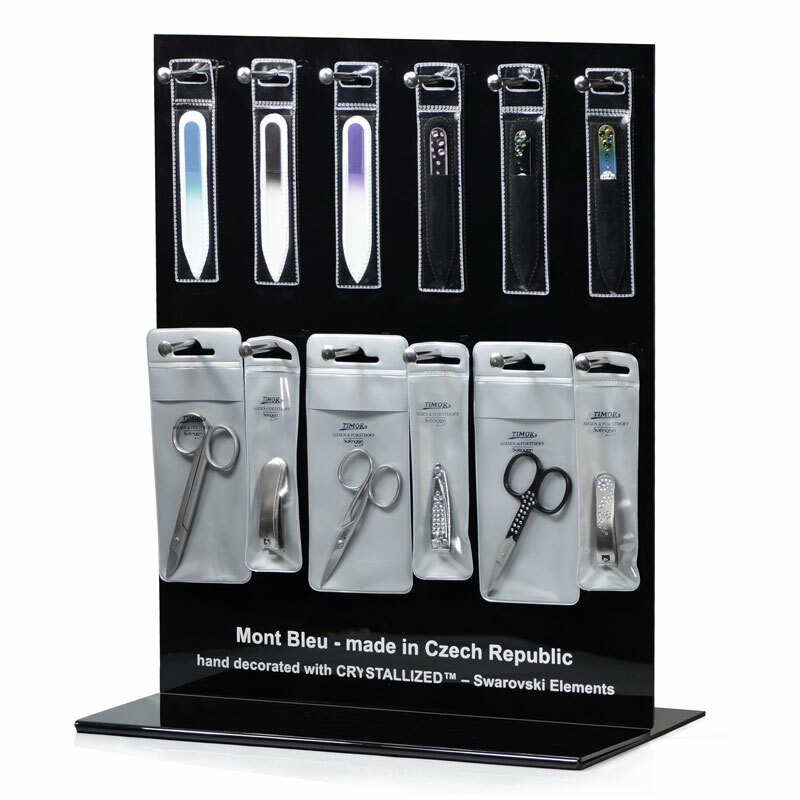 Display stands, sleeves and gift boxes will suit Mont Bleu glass nail files from all 3 groups: Exclusive group, Classic group and Jewelry group. 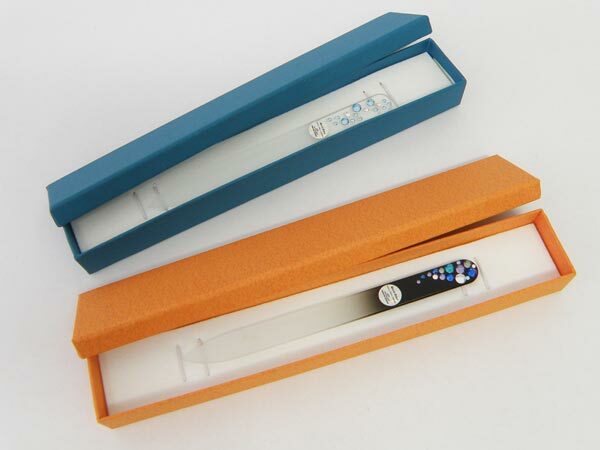 Where and how to buy? 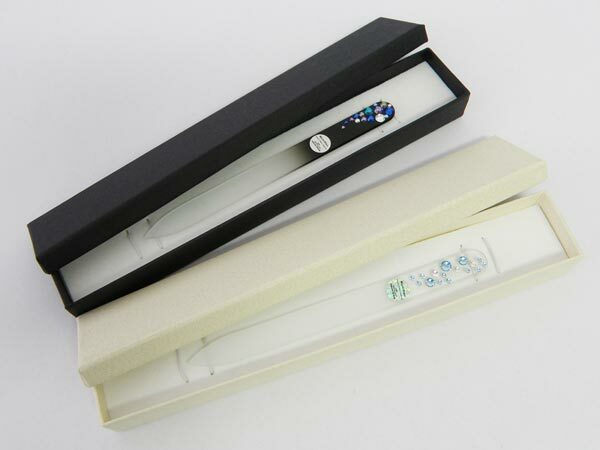 If you interested in buying the items wholesale or in bulk please contact us, please note certain minimum quantity will apply.